This lens handles quite well on my Sony Alpha 7. The focusing is internal, so the lens doesn’t extend and it you can focus it with a flick of your little finger which is great for ation shots but it works well for landscape use as well. The tripod collar is quite big and sturdy, it can be rotated from landscape to portrait orientation and it is detachable. The lens hood is fixed to the lens and rather small, a larger one would be more effective but would make the lens a lot bigger as well. I find it easy to use it without support, it weight only a little over 1 kilogram and the weight is well balanced, it get very sharp images at 1/640 sec. when holding it without support. I prefer to use it on a monopod which makes focusing much easier because it stabilizes the lifeview and also allows me to use about 2 stops slower shutter speeds, I get very good results at 1/160 sec. Not much to tell here, it is as great as you would expect from a professional lens from the 80s. I tested this lens on a Sony a7. 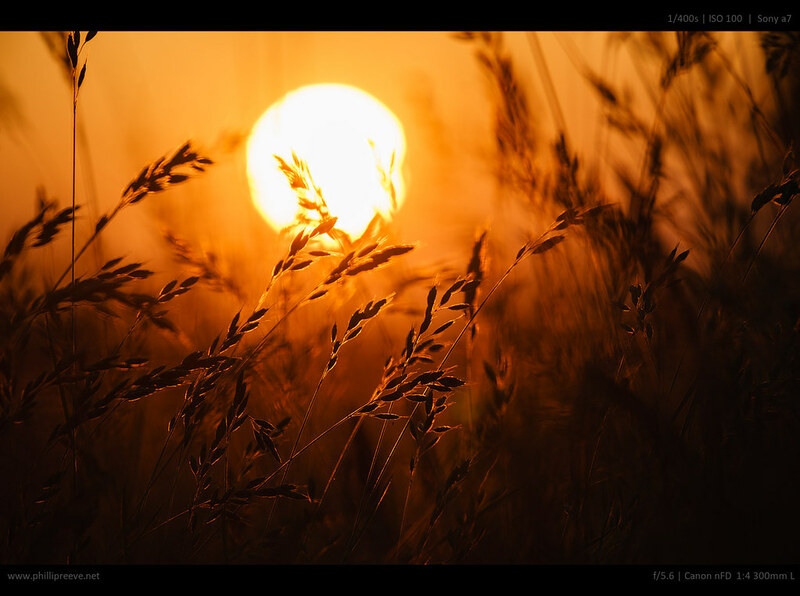 Flare Resistance It is rather sensitive to flare, most problematic are light sources just outside the field of view. Shading it with your hand can help. at f/4 LoCa can be seen at edges with hard contrast, stopping down to f/5.6 reduces it a lot and it is quite hard to make it show . LaCa are quite well corrected. f/4 The lens is sharp from corner to corner at f/4 and I don’t hesitate to use it at this aperture. f/5.6 Contrast and sharpness improve noticeably and reach an excellent level, this is the optimal aperture. f/8 I think I see a very minor drop in sharpness. f/11 Diffraction becomes noticeable but sharpness is still very good in absolute terms. 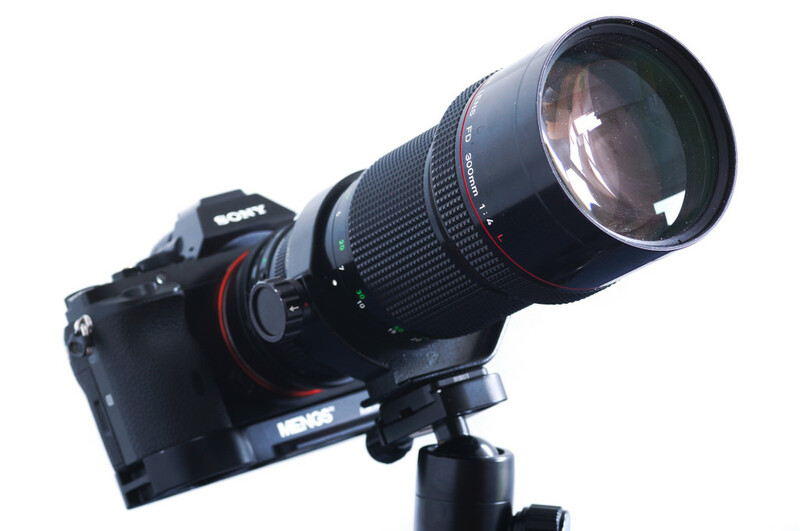 FD lenses can be used on all mirror-less cameras like Sony Alpha, Fuji-X or MicroFourThirds, all you need is an adapter. I would recommend a Novoflex Adapter (affiliate link), it is expensive but it will fit better than cheap ones from China. The cheap ones are good enough (in fact all the images in this review were made with a $10 adapter) but after I got that Novoflex adapter I can only recommend it. Because of the rather high register distance of the FD mount there are no adapters for any DSLR camera, but it is possible to swap the mount for a EF mount developed by EDMika, he lists the compatibility status of his adapter and this lens as unknown so I would ask him if he knows if it will work. I really enjoy this lens and carry it with me a lot, I can recommend it to everyone who needs a manual, portable high performance tele lens. The direct competition in it’s time was the Nikon 4.5/300 ED IF, I never used it but from the reports I read aobut it, I think that the Canon is a little bit better. There is also a Canon FD 4/300 nonL, I haven’t used that either but from the reports I read and because of the lack of low dispersion glass I assume that it will be significantly worse. Then there is the Canon nFD 2.8/300 L which is at least as good but usually twice as expensive and more than twice as heavy. You found my blog helpful? Please consider use one of these affiliate links when looking for the 4/300 at ebay: Canon FD 4/300 L at ebay.com or ebay.de. For the right adapter check out our Adapter Guide. I own a lot of FD lenses but not this one. 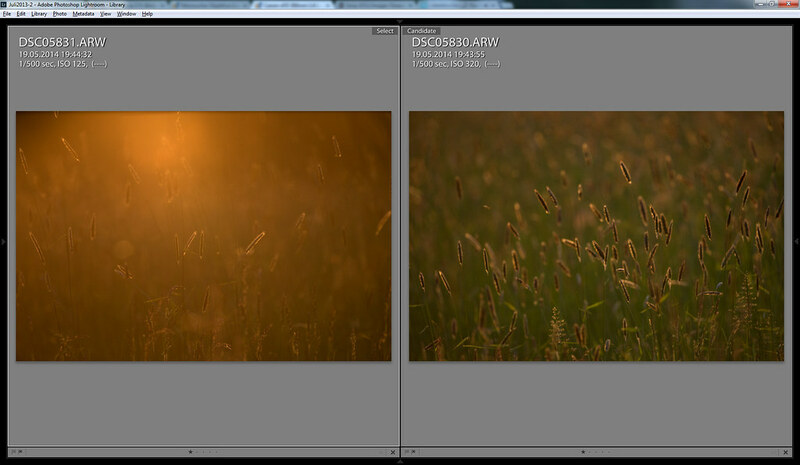 Some of them are really a joy to use with the Sony Nex 7 or A7R. As for tele lenses, I own the Canon FD 400mm f/4.5 and the Canon FD 500mm f/8.0 Reflex. I also own the Canon FD 300mm f/5.6. The best of those is the 400mm but there is still a lot of CA. 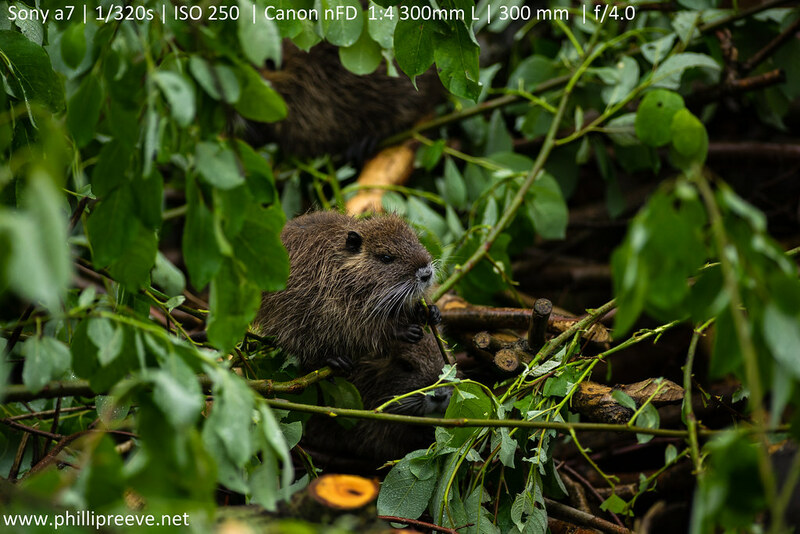 This is to be expected since they have no low-dispersion element – while the Canon FD 300mm f/4.0 L has some. 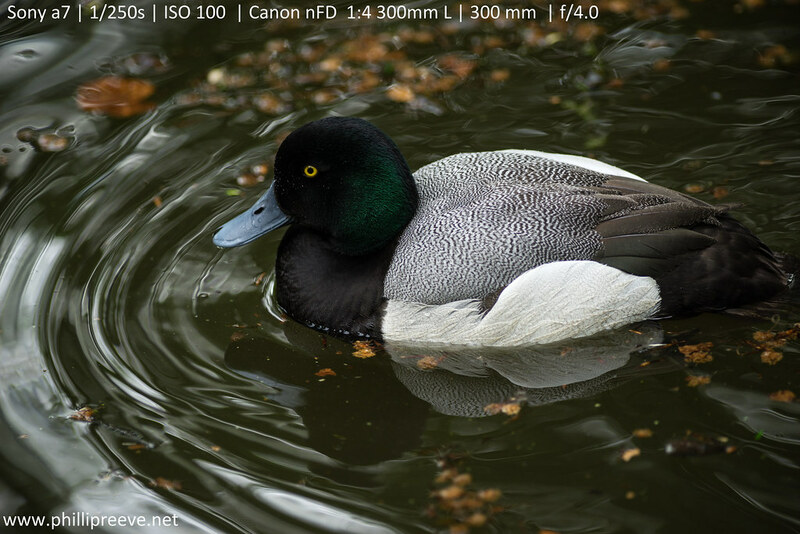 As of alternatives, my personnal favorite is the Canon EF 400mm f/5.6L, which weights about the same. This lens is really crazy sharp and has almost no CA. It works very well with the 1.4x II too. With Nex 7, you’d better use a tripod, since you get 840mm f/8.0 equivalent then. 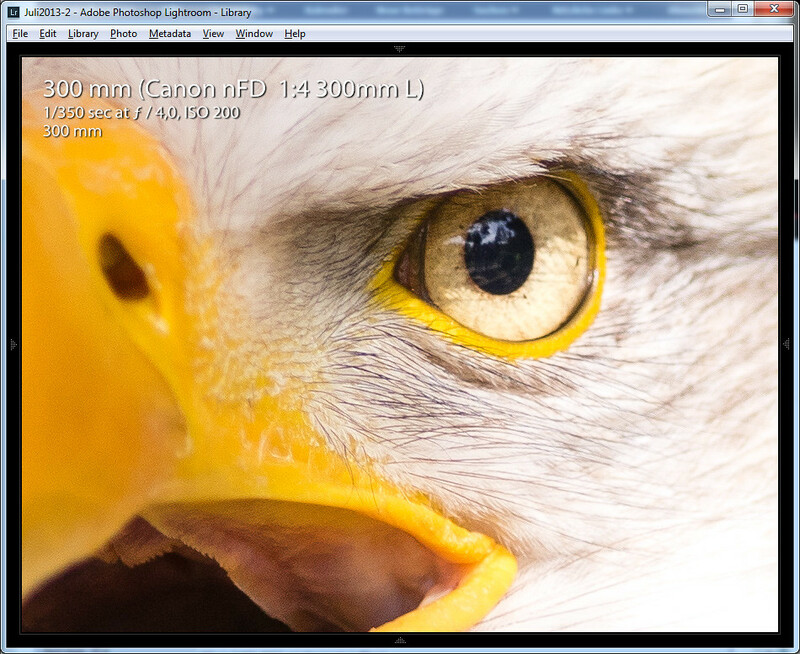 But I’m sure this Canon FD 300mm f/4.0L is a pleasure to use and delivers really a very good image quality. 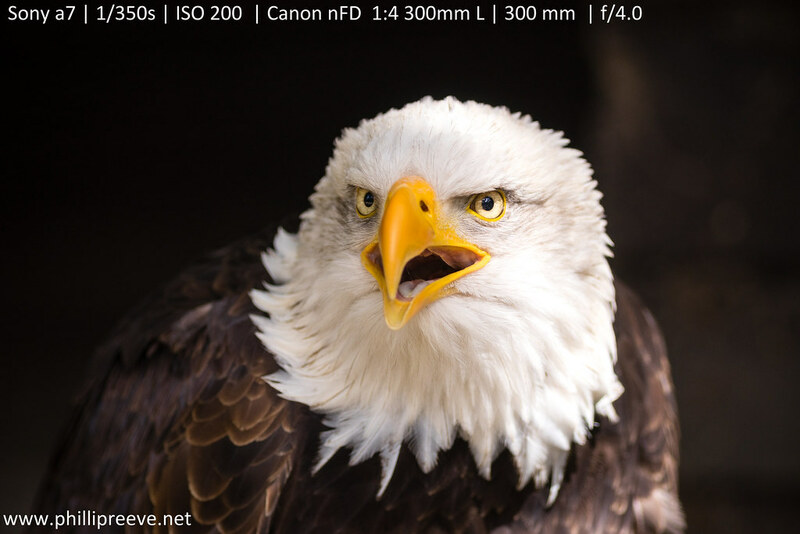 Could you share some photos you have taken with Sony A7 Canon 400mm combo? I am looking for a good telephoto combo with my Sony A7, and any advice on this will be really appreciated. 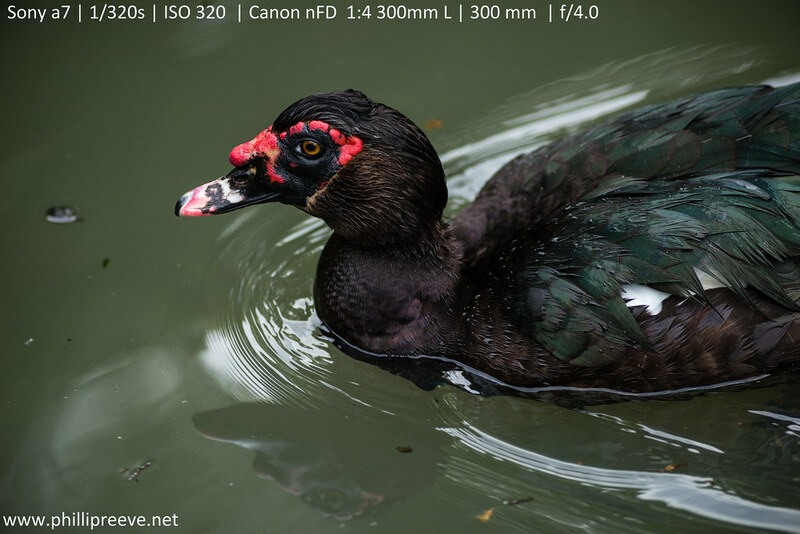 I’m quite interested in a tele lens for my Nex 5n, primarily for wildlife shooting. As I understand that the 300 L 4.0 works great on FF A7, i wonder if it works on the crop sensor of Nex 5n just as good – can you recommend this lens for 5n? I think it would deliver a good performance at f/4 and a great performance at f/5.6. I own a Nex-5n myself and it isn’t easy to handle the lens without an EVF, but it is possible. I think the price-performance ratio is pretty good, at least compared to other Tele lenses with the same level of CA correction. A Minolta or Canon 4/200 is much better value though ;-). Thanks for the swift reply, Phillip! Regarding the Canon FD 200 4: incl. NEX crop factor, I’d like to “arrive” at some length around 400mm – you got any experience in combining this lens with a Canon teleconverter (F/4 might be too slow, right)? I’m aware that you pay extra for the “L”-lenses but I thought they’d be worth it (not from first hand experience though). All in all I’m looking for a better quality tele than the Tamron 18200 for NEX that i’d like to sell if i can get a decent lens that covers the longer end. Phillip, I like your photographs. I have a question. I own a Canon FD 55mm F1.2, and a Canon FD 100mm F2.8, which I use on a Sony A7R. Both lenses are SSC, and have the old style silver FD mounts. I like these lenses, have high hopes for them, but find they are annoyingly grainy in the out of focus areas, and in the areas of fine detail. When I look at your photographs taken with Canon lenses, I see a very slight coarseness there too—but not so much as with my own photographs. Have you experienced the same thing with Canon lenses on your Sony camera? And if so, how have you learned to mitigated the issue? I can’t really visualize what you mean with “grailny in the oof areas”, can you sent me some pictures of it? At the old analogue days, I had made an comparable test with an FD 4/300mm L owner, with an Meyer-Goerlitz PENTACON MF 4/300mm lens, both using an KODACHROME 25 slide film. Results were projected with two LEICA projectors, and watched by 20 people. 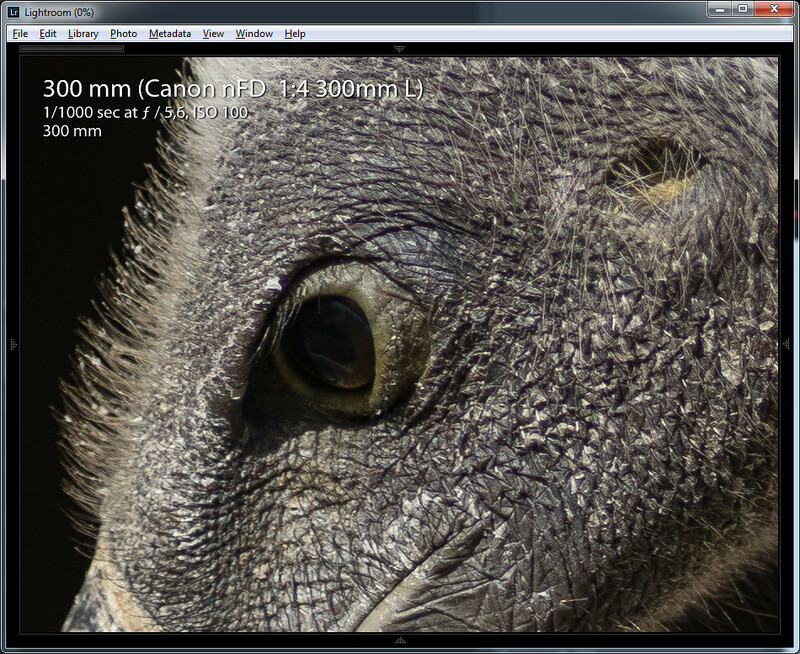 Both lenses where equaly sharp, the Pentacon 300mm was more brillant and a little länger in his focal length! The frustrated CANON lens owner, sold his glass immediately. The “L” at the Canon lenses seems to be not alway’s the case, the lens must also be assembled precisely! 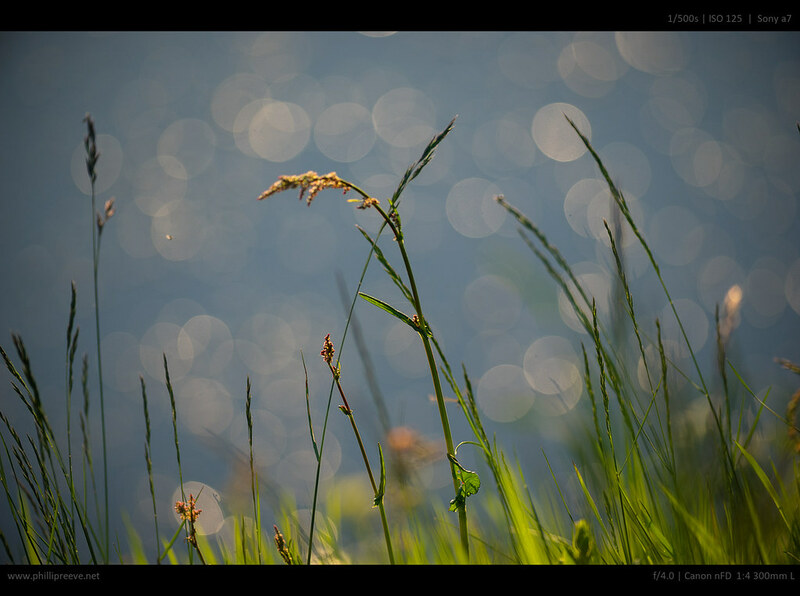 … but how difficult it is to focus A7 with manual lenses? On focusing screens of the old film cameras it has always been a bliss. Does the A7 show on screen in any way “well there you have the focus”? I think (with some trials on m4/3) it’s difficult to trust your own eye. I’ve owned the 300mm f4L and used it a lot with my A6000 with great results. The only drawback for me was that it could only focus down to 3.1m, which during the summer is not really close enough for dragonflies and other interesting subjects. I used an extension tube, but then you lose infinity focus and that can be frustrating when you’re using the lens as a ‘walkaround’. I sold the 300mm f4L for a little profit and picked up a very cheap Tamron SP 300mm f5.6 (54B) which is a flatfield macro lens that focuses down to 1.4m (1:3.3) and so far it seems very sharp wide open and is beautifully built. The only drawback – as with all of the Adaptall lenses – is huge amounts of colour fringing, some of which cannot be easily corrected in Lightroom. However, I’m sure when used in the right lighting (as a summer walkaround lens) it’ll be fine. 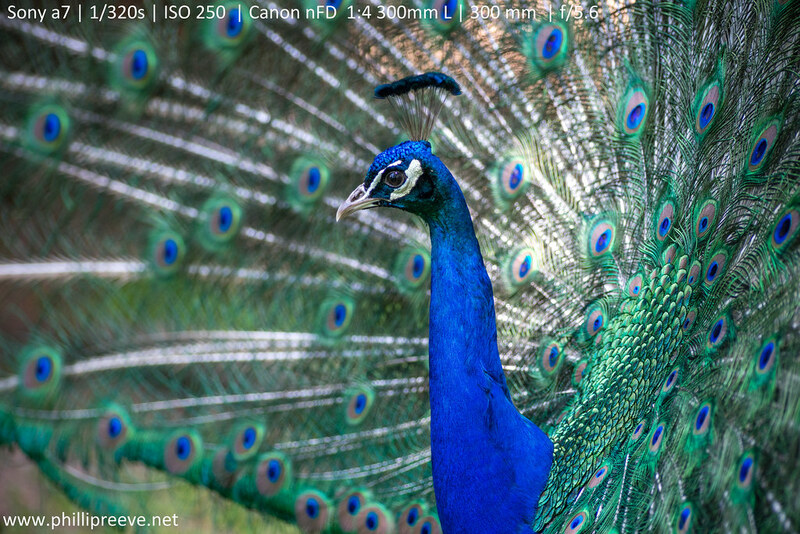 I also own the Tamron SP 300mm f2.8 LD IF (60B) which has two LD elements and suffers less from colour fringing. Focuses to 2.5m and I think it is a great lens – one of the best value fast 300s around as well. I decided to look for a 300mm F4 lens. I was going to go with the FD 300mm F4 as it can be found cheaper but I noticed some F4L selling for less than $400 so looks to me that if I want to get serious about Portrait (headshots) that will be the best lens..right? True…i think I’m better off getting some lighting gear but the allure of that red ring is hard to explain. Plus i think for a near mint copy just a bit over $300 is good, don’t you agree? Actually Markus, I think it is not bad at all, in fact, from a post I did in two forums the 400mm and 300mm(simulated with a 70-200mm zoom with a 2x adapter) were top picks along with the 200 and to a lesser extent the 135mm FL. Nobody thought the 100 and 50mm where good choices but then again, this was for pretty close headshots. Of course for a fully body etc things differ. You can check the images here 🙂 I was surprised myself. I have an a6000 and have been collecting a few adaptable lenses, mostly Minolta and also my legacy Nikons. I just picked up off auction a Canon 300 f4 , not the ‘L’ model but from your post, externally it appears the same. This is my first Canon lens, and I suspect I may have got a bit of a pig in a poke, but I’ll ask anyway. The aperture diaphragm is a real bear to operate, it’s basically stuck. It arrived closed down (f22), and when I mounted my adapter for the Sony I was able to move the diaphram. I set it at f5.6, shot a few frames and tried to adjust the aperture again and it’s locked again. Am I missing something or does this lens have problems? There’s an “A” button on the aperture selector ring but it doesn’t seem to do anything. The aperture control lever at the back of the lens is, as you’re probably guessed, also stuck. The aperture mechanism for Canon FD lenses is a bit complicated. Does your lens have ring you can turn from off to on? You really need to mount the lens when it is set to off and then turn it to on. Thanks for the reply, Phillip. I think you’re describing a breech lock lens? Mine doesn’t have a ring like that. There’s a photo on this page of the lens. Note the green “A”. It’s next to a small button, I don’t know what it does. Scroll down to “New FD 300mm f/4 Lens”. I have the “New FD 300mm f/4 Lens” from my analog era. The green A mark is (was) used on the film camera’s like Canon F1(n) and T90 etc, …in automatic function. I use it now on my Fuji X-M1 & T10 with an adapter. Manual focussing is ok with the focussing helps on the Fuji’s for not or slow moving objects. A monopod or tripod is a good help. The results are fantastic, even with a good 2x teleconvertor the results are still fine. I also suffer from the same problem, as my aperture lever stuck after mounting on mei novoflex-adapter. Anybody there who has an idea. Searched the web, but didnt find any solution? By the why, wide open ( ;)) ther is a remarkable difference in CA and sharpness between the “L”-Version and the Non-“L” an a A7rII. Hast du andere FD-Objektive erfolgreich adaptiert? Das FD-Bajonett ist etwas kompliziert und den Novoflex muss man erst in die eine, dann in die andere Richtung drehen, damit die Blende richtig funktioniert. Have you used other FD lenses successfully? The FD-mount is a bit tricky bcause you have to turn it first in one and then in the other direction for the aperture to work. 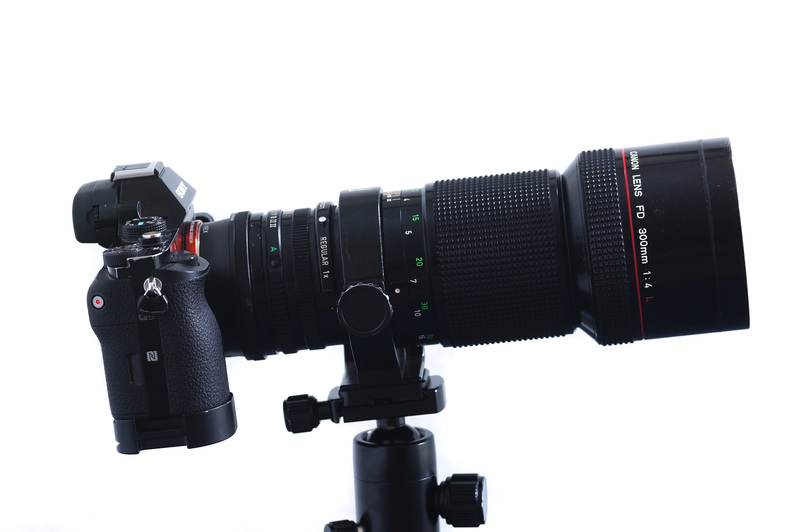 For this particular lens with clamp attached to tripod, do we change from horizontal position of the camera to vertical position by adjusting this lens clamp? Is there a need for an L plate grip for the camera using this tele lens? No, you can change the orientation by loosening a screw and then turning the lens in the tripod mount. Recently got one 300/4L through your ebay link. Which 50-55 mm f1.2 FD lens would you recommend, and why? I own a Samsung NX1, created this thread on DPReview http://www.dpreview.com/forums/post/57968752 and Matt Everglade provided your review. Excellent review! Phillip, if money’s not the issue, which what’s your advice regarding choice? from what I have read the EF and FD 4/300 L use the same optics so I would go for the FD one which has a decent aperture ring and it is nicer to focus. Phillip, just checked the Canon museum site and the EF and FD versions are not the same. FD is 7 elements in 7 groups and EF is 7 elements in 8 groups. FD has 9 blades and EF has 8. Min focus is 3m for FD and 2.5m for EF. That said, looking at the images, IQ looks to be pretty similar. The pictures you made with this 300mm f4 are absolutely amazing. I was planning to get the Fuji 100-400 (but not before next year) to shoot wildlife (fox, moose, bear, etc). Do you think this Canon lens could be a serious alternative for the long term? How easy it is shooting animals with this lens? Do you miss a lot of shots? The other option could be to find a cheaper 300mm vintage lens temporarly for this year, then move to Fuji 100-400 later. Did you try such lenses (Takumar, Konica, Minolta, Olympus, etc)? That was a good suggestion Phillip… and I finally decided to order one from ebay! Can’t wait to play with it. I am interested in taking some bird pics, primarily of some osprey which are in telephone pole nest. I can’t get too close to them without changing their behaviour so I need a longer lens. I was thinking of keeping the size down by using it along with a teleconverter. I am curious is it better to get a higher quality less mm focal length lens but a faster aperture and use a teleconverter or is it better to get a purpose built longer lens? I have limited experience with this and only recently got the 1.4 TK with my new FD 2.8/300 but at least on that lens there was a very noticeable image degradation with adapter attached wide open. I think a pixel density camera like the a6000/a6500 would be a better option than a TK. I have used the FD 4/300 L with the a6000 and image quality was still very good. Thanks for your good reviews and photos you have shared on different sites. I have purchased a couple of lenses off your recommendations and have not been disappointed. My most recent acquisition is the Canon FD 300 f4 L…thanks again for sharing! I have an A6300 and am new to manual lenses – I’m looking for something to shoot birds with. The birds around where I am are relatively tame and easily accessible so I’m thinking 300mm would work quite well. Im just a bit worried about being able to focus without any IS at this focal length. How challenging is it focusing a 300 prime compared to say a 50? Still manageable for a newbie? 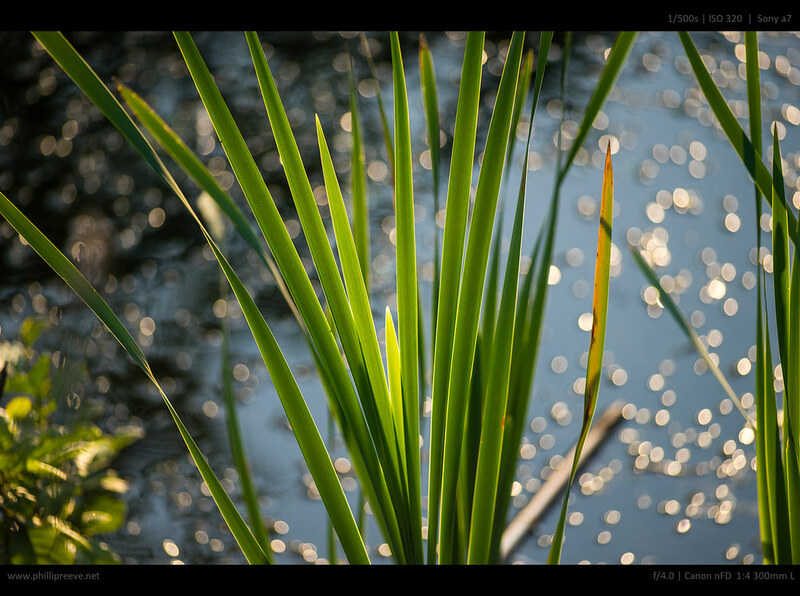 Thanks – love your blog and its got me excited about legacy lenses. Probably going to be terrible for my pocket book though. It is certainly easier when you can brace you or the camera on something but it can be done from the hand. Getting shake free pictures is another issue though. Ya sorry that’s what I was trying to get at. How difficult is it to get a sharp image without IS? I’m guessing you basically require a tripod at all times? It can be done but the success rate won’t be that high. Hi Phillip, I’m looking for a long telephoto prime lens to try shooting lunar photography. As this would probably be my only use for the lens I definitely am not trying to buy any sort of new autofocus lens. Naturally I came to your site for manual lens information. This is the longest lens I see here on your site. It is a little short for the shooting the moon I would guess, but cropping isn’t bad for me, I’m not a professional. Do you think this lens would be a good option for me or are there other recommendations you might have? It will be used on an A6000 and A7rii. Again, thank you for your fantastic resource! Maybe a Canon EF 5.6/400 L would be a good alternative for you? The issue is that most older teles have serious CA issues and maybe even a modern 150-600 would be your best bet. It has quite a lot of CA but is probably good enough for decent moon photographs. Auweia, da erinnere ich mich noch an einen Vergleich, den ich mit mal einem Canon FD 4/300mm Canon Besitzer mit deiner F1n gemach habe! Ich hatte damals das 6×6 Pentacon 4/300mm an einer FUJICA ST 901 und wir hatten beide den extrem scharfen Kodachrome 25 Diafilm geladen! Nach der Entwicklung wurden beide Ergebnisse mit zwei gleichen Projektoren projeziert! Das Pentacon 4/300mm wurden von den 20 Betrachtern im Fotoklub als eindeutet besser beurteilt und der “geknickte Canon Besitzer” hat das Objektiv (ein Montagsexemplar) gleich wieder verkauft! You have a very nice page here which i visited several times. Now I have a question where you might help or at least to give me a comment. Recently I bought that Lens(300mm 4L)in a very good optical condition. I am also satisfied about the sharpness but as example when I try to take a picture from the lunar it is not possible to get it sharp at infinity. I am using it on a Sony A7-ii with a K&F FD Nex Adapter which works quite well on other FD Lenses. Could this be still a problem from the adapter? Or is the lens the problem? Any help/advice would be very kind. That’s strange since I have never seen a K&F adapter which was too long and the FD 4/300 L can focus beyond infinity to compensate for different temperatures. To identify the issue I would try a different adapter none the less since that is the cheapest thing to do. Yes I have ordered 2 other adapter. One noname and a NovoFlex. After testing I will tell the results here. so I have tested today as said 2 other adapters and still have the same issue. Farer objects are not possible to get it in focus so I guess the lens must be the problem. I bought the 300mm F4 non L two months ago, I also bought the K&F fd to nex adapter and another, camera is A7r. Both not working. I also do not have infinity focus, it focuses near infinity inside the past infinity gauge built in, just at the very end. I was thinking the adapter was the cause, that it was too long, and I should have shortened it a bit. 42-17=25-24.2=0.8mm short. Which should be re-calibrated, but adding lenghth to an adapter that does not reach infinity does not make much sense to me, on the contrary shorten the distance might make more sense. The focusing should go out of focus beyond the infinity point in this lens, not closing in to infinity. Could you confirm this please? E-mount flange focal distance is 18mm, not 17mm so your adapter seems to be too thick. Are you sure though that you understand how it works? Because I have never heard of a too thick K&F adapter. They are usually too short. Well, to be honest, no, some are pure speculations, based on random informations taken here and there. The optics part, flange distance know-how is based on my observations and experimentation with different thikness applied (or material removal) to adapters I’m modding. I have sent a mail to Fotodiox Usa if they could tell wether one of the three fd-nex adapters they sell will retain infinity with this lens and the A7r. They say they guarantee beyond infinity focus. Particularly the Dlx helicoid seems better fit. K&f 18mm+24.2mm=42.2mm or too thick. I will remove material here and there, so far I have polished out 0.2mm, to no gain whatsoever. I will continue polishing untill I can get more detailed information on the Dlx helicoid or equivalent. ps: I’m measuring from fd contact plane to nex plane contact plates. I found the advertised range distance for the helicoid adapter to be 26mm to 44mm if of any interest. Hi phillip. I just bought the 300f4l for 300eur. Its in very good conditon, only the aperture closes delayed if you turn beyond f4 and then back to f4.8 (its stuck for a splitsecond). And there is a light ratling sound when you shake it. Does your lens do any of that? Also what are the slot in filters good for? It came with a “regular 1x” what kind of glas is that and what does it do? Did you use any other filters yet or are they unavailable? A split second is hard to define but I see hardly any delay in the aperture. I hear a rattling sound. Mine has a Skylight filter attached which adds a small red-cast but since I often add a little red in post for my Canons it probably helps more than it hurts. I think there are polarizers as well but I have no experience with them. In summary the FD 300 non L is really pleasant to use. But if I find a FD 300 F4 L at a good price, I would take it without hesitation. 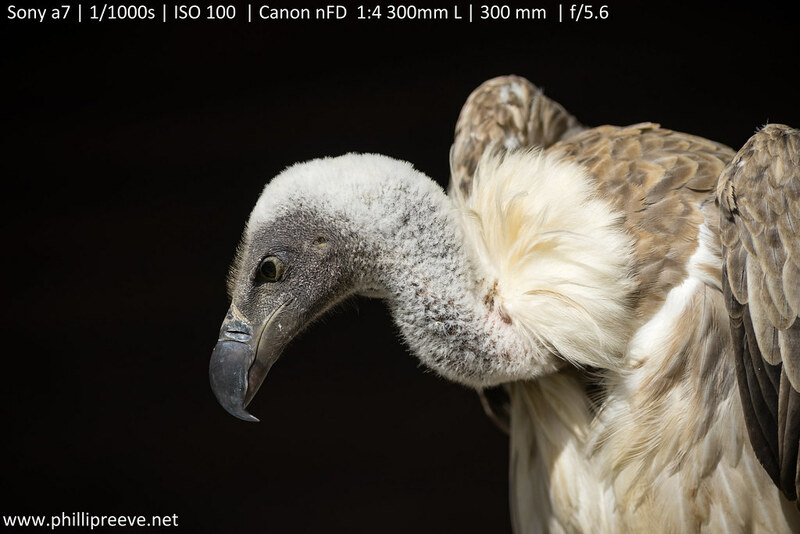 have you used the 300mmf4l with a set of extension tubes for macro photography? its a tip i got from Traumflieger for EOS. I ordered some extension tubes that i want to try it with, I hope for 1:3 magnification like with the modern 300mmf2.8l but im not sure yet. I haven’t, but should make sense. Hey Phillip. Love your page and your work. Just had a question for you and wanted your opinion regarding the 300mm fd F4l lens. I recently received a copy on eBay for 350USD. Unfortunately the lens was bunk and the seller did not communicate there was haze in the lens that affected the image quality. I was able to get a full refund but am wondering if you have tested the optics in the 300mm EF F4l non IS version with the Sony a7ii or above. Wondering if it is worth jumping from manual glass to adapted AF if the IQ is better or if j should take another risk at buying the FD again.. thanks for your time! I ahve no experience with the EF L. From what i find online they seem to perform pretty similar. is it possible to use the lens with the fd extender? 2x-A or 2x-B? Will image quality stay on a decent level? Anyone experiences?